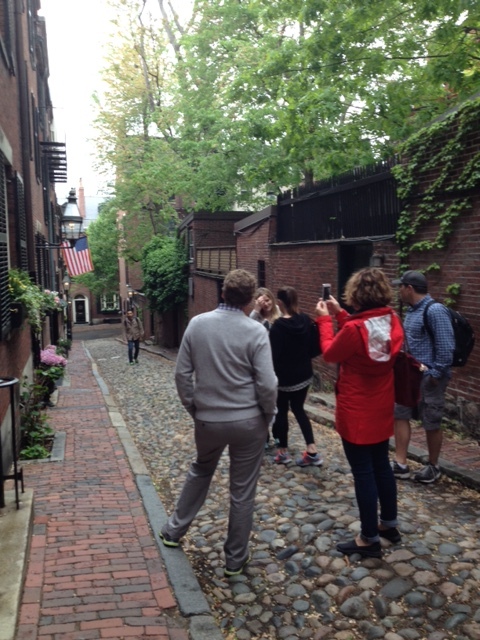 Task - Create an itinerary to showcase Boston area to a group that&apos;s going to redesign your tourism website. You want to make sure they get the feel of historic and innovative, the arts and culture, neighborhoods, the people, sports, education, EVERYTHING! No problem, give me a week with them and we&apos;ve got this covered. But NO - you have a day and a half! Are you serious?! How am I going to do this....no pressure! First - You find "that guy" in your office that knows anything and everything about the area. He thrives on history and he follows every new development, activity and attraction happening in and around the city. Then you quiz your visitor services representatives, those guys that answer the phone and can tell you everything. So, put on your most comfortable clothes and walking shoes and get ready for an itinerary on steroids! Oh and it better not rain, cause we are OUTSIDE walking, biking and touring! Arrival at the airport - let the team get their own transportation to their hotels - they will see how easy and quick it is to get from the airport into town. Added bonus, their driver is a native Bostonian complete with our famous accent and city driving skills. Okay they made it, no time to waste, dump the bags and head to Newbury Street for dinner, a short walk from both the Park Plaza Hotel and Boston Copley Place Marriott. We&apos;ll meet at Stephanie&apos;s on Newbury, a great place to people watch shoppers, locals, hipsters and all the other tourists in town. Early Tuesday morning, I anxiously watch the weather report - not good - looks like rain - it hasn&apos;t rained all spring, why today? Okay, contingency plan - mm - wing it! Remember "that guy" that knows everything and is going to help with the tour - his "T" is delayed this morning of course! Well, we are on the "wing it" tour today, so go with the flow. Eventually, we all meet at the newly renovated very hip Park Plaza hotel lobby. It&apos;s not "really" raining so we decide to head out on foot. "That guy" also known as David walks us through the Public Garden, Beacon Hill past the State House to Fanueil Hall. We visit with George Washington in the Public Garden, watch a TV show being filmed on Charles Street and go camera crazy on Acorn Street, all while David is sharing his never ending knowledge of Boston. 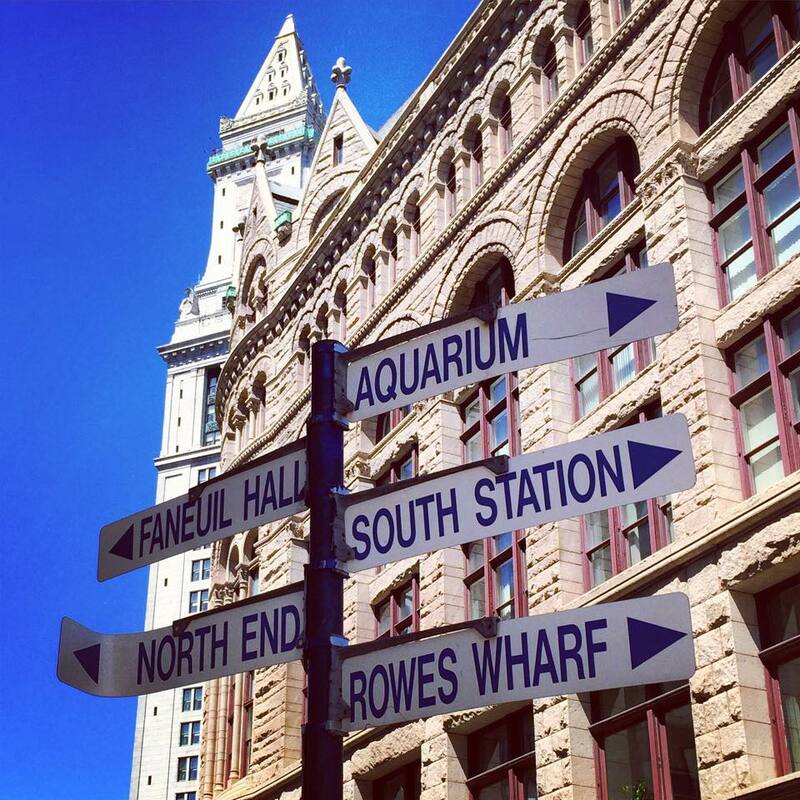 On to the Reverse Tour of the Freedom Trail (reverse because it starts at Fanueil Hall and works back to the Visitor Center). We meet our tour guide Jeremiah Poope - real name he says - "high school was really tough"! 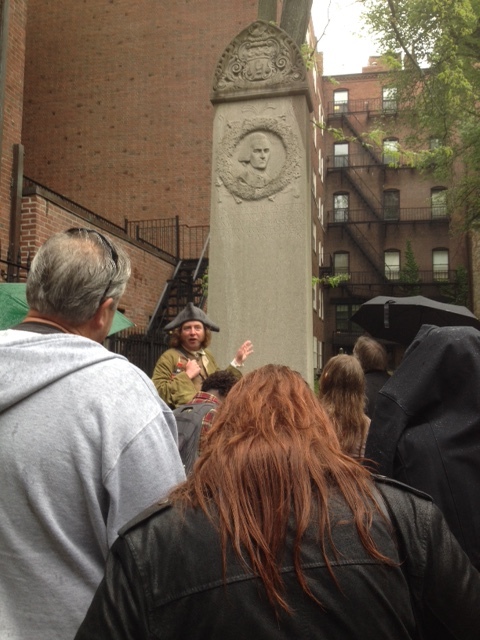 Ut-oh, here comes the "real" rain - but no one seems to care as they are all captivated by Jeremiah Poope who provides an entertaining and educational tour. Next stop - Union Oyster House for lunch. We are met by owner Joe Milano who shares the history of the oldest continuously operating restaurant in the country. After lunch, sampling oysters and touching live lobsters, we&apos;re off. It&apos;s still raining so it looks like the bike tour with Urban Adventours is out this afternoon. Plan B - Old Towne Trolley Tour of the Seaport District. Fortunately, the Trolley has a loop that pretty much follows the same basic route we had planned to bicycle - just drier, warmer and a little faster. 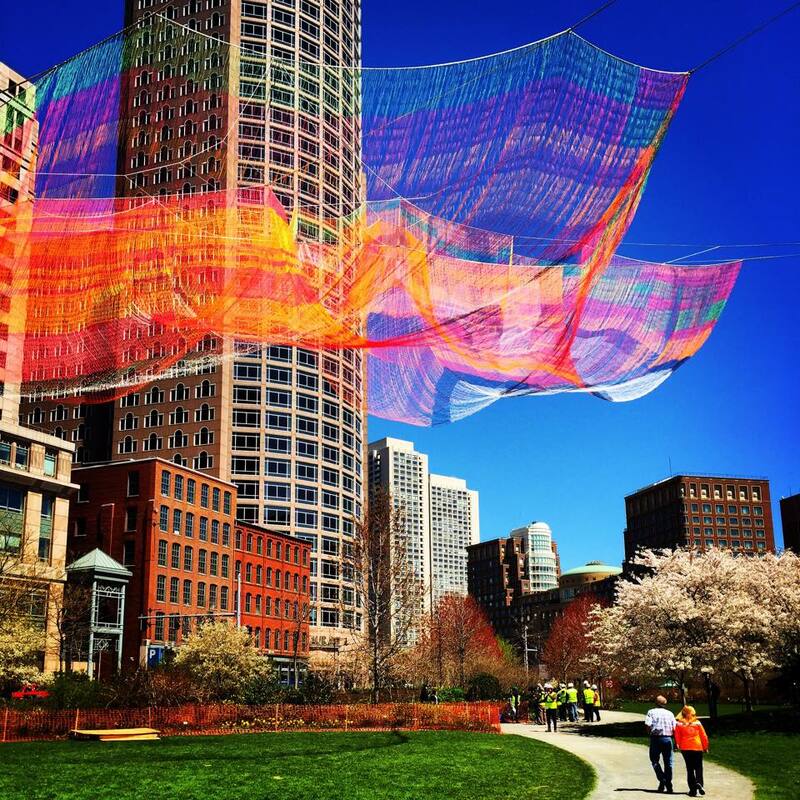 We get our first glimpse of the Echelman Project in the sky over the Rose Kennedy Greenway. Our driver is not much of a fan of it, but we all think it&apos;s a pretty impressive exhibit. We continue past the Tea Party Ship and Museum, the Boston Convention and Exhibition Center, Liberty Wharf restaurants, the ICA - Institute of Contemporary Art and all the new buildings popping up in Boston&apos;s old warehouse district now being referred to as the Innovation District. Next stop - South Station where we jump on a redline "T" to Harvard Square in Cambridge. We&apos;re early so there&apos;s time to shop! We check out the "Coop" (not pronounced Co-op as one might think), it&apos;s the Harvard University Bookstore. A young man in a maroon Harvard jacket and straw boller arrives to take us on a tour of the Harvard campus. Dan is a recent alumnae and shares real tales from his college experience while he takes us around campus. Phew, we are all pretty parched, it&apos;s been a busy day so we pop into the Russell House Tavern for a beverage. Yum - lots of food is passing our table but we are only here for drinks today. Our dinner is waiting for us at the Beat Brasserie right in the heart of Harvard Square. Beat is an eclectic restaurant with a stage being prepped for the evening&apos;s music entertainment. The food is amazing and we all just want to sit and enjoy the atmosphere for a while as Day One is pretty much done. We take the T back to the other side of the river (the Charles River) and make our plan for tomorrow. John scoots off to find his new favorite Ice cream shop while the others head to bed. Wednesday - Yeah! The sun is out and the forecast is perfect! After we conclude our required business meetings in the morning, the group heads to the Prudential Tower&apos;s Top of the Hub Restaurant & Skywalk. What a view! We walk around and David points out all the sites and neighborhoods we visited yesterday and more that we will see today. He also shows some of the sites that just didn&apos;t fit in our itinerary such as Symphony Hall, the Museum of Fine Arts and the reflecting pool at the Christian Science Center. America&apos;s Walking City suddenly looks really BIG! I take out my phone and request an Uber car and within 3 minutes a black SUV is shuttling us down to the Boston waterfront. We arrive at Joe&apos;s on the Waterfront to enjoy spectacular views of the water and an amazing lunch. No time to relax, we are on the move again following the Harborwalk to Boston Harbor Cruises where we board the Codzilla for the boat ride of a lifetime. Loud music, great stories and a carnival type ride takes us just out to Deer Island. 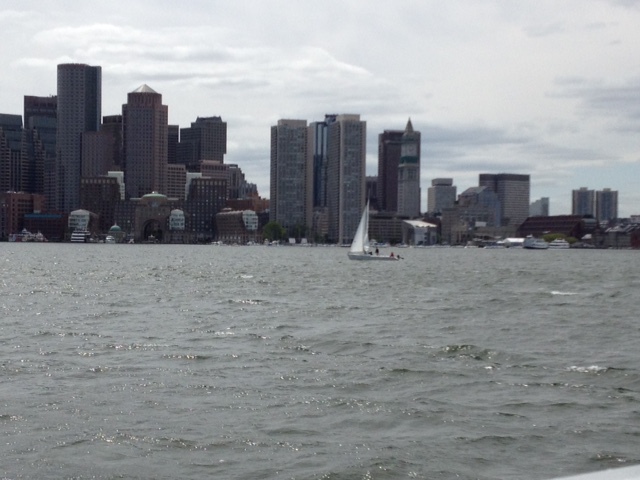 The return trip has a breathtaking view of the Boston skyline - Very picture worthy. 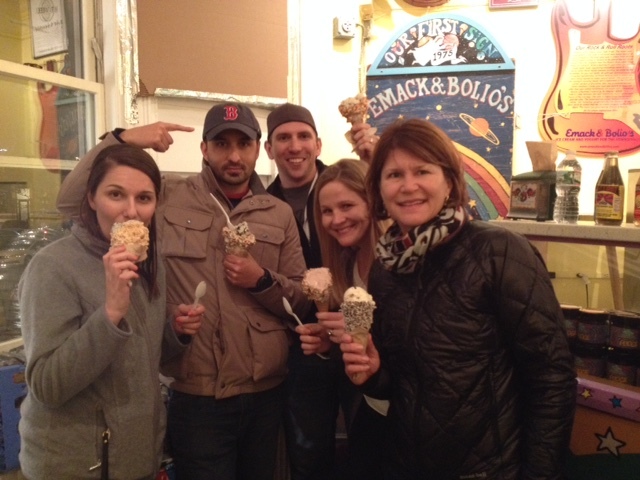 What&apos;s a trip to Boston without visiting the North End (Boston&apos;s Little Italy)? We cross Atlantic Avenue and wind our way up small cobblestone streets passing Paul Revere&apos;s house, the Old North Church with a mandatory stop at Mike&apos;s Pastries. But oh, we hesitated before entering and a group of 30 school kids beat us inside (must be popular) so we turn and walk a ½ block to Modern Pastries where it&apos;s not quite so busy and we enjoy fresh cannoli&apos;s and dark roast coffee. As we walk down Hanover Street, everyone is amazed at the number of quaint Italian restaurants and hidden stores selling fresh cheeses and meats. A unique place for sure. This was supposed to be a short excerpt on the ultimate itinerary - Oops! So the question is, did we accomplish our mission? Watch for our new website later this year and let us know.